The 1940s were an interesting time in fashion, in part because so much of the style of this decade was developed via necessity. Traditional bridal fabrics such as silk were rationed and a lot of brides opted instead for day dresses, suits or even military uniforms and accessorized them with corsages, hats and gloves. 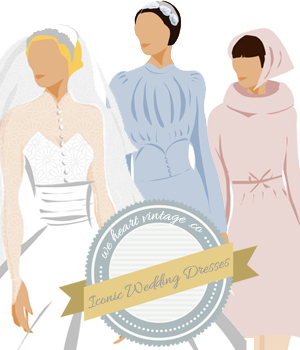 Which one of these real 1940s brides is wearing your favourite outfit?